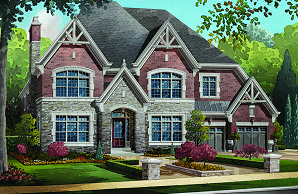 An assembly of three single family homes on a 3.8 acre site in Mississauga, ON. Sale, servicing and construction of 15 luxury detached houses. Under construction and 100% pre-sales as of Q4 2018. Two adjacent parcels on a 3.8 acre site in Langley, BC. 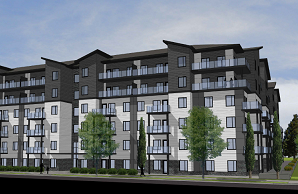 Rezoning, construction and lease-up of a 202 unit six-storey rental building. Undeveloped 9.0 acre site that is part of the Shaping Ninth Line initiative being undertaken by the City of Mississauga. 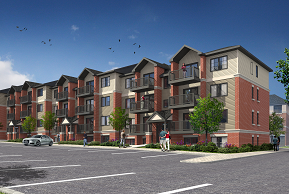 Rezoning, sale and construction of a proposed multi-residential development. 0.94 acre site with a free standing commercial building in Etobicoke, ON. 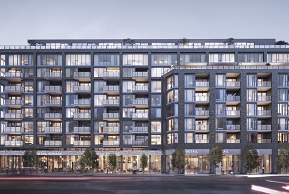 Rezoning, construction and sale of an eight-storey condo development comprised of 167 units and retail at-grade. Under construction and 93% pre-sales as of Q4 2018. 27.5 acre infill site near the intersection of Highway 407 and 403 in Burlington, ON. 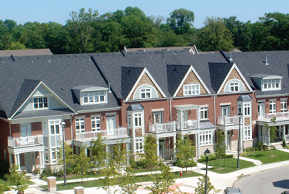 Rezoning, sale and construction of a medium density development comprised of approximately 230 townhouses. An assembly of six adjoining properties on a 45.5 acre site in the Ottawa suburb of Orléans, of which 14.1 acres are currently developable. 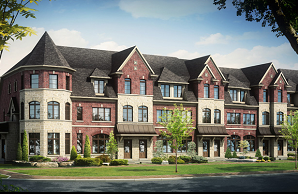 Rezoning, sale and construction of a medium density development which includes condo flats, condo townhouses, traditional townhouses and semi-detached bungalows.